Valentine's Day is right around the corner and what better way to celebrate than booking a mini session for your little loves! 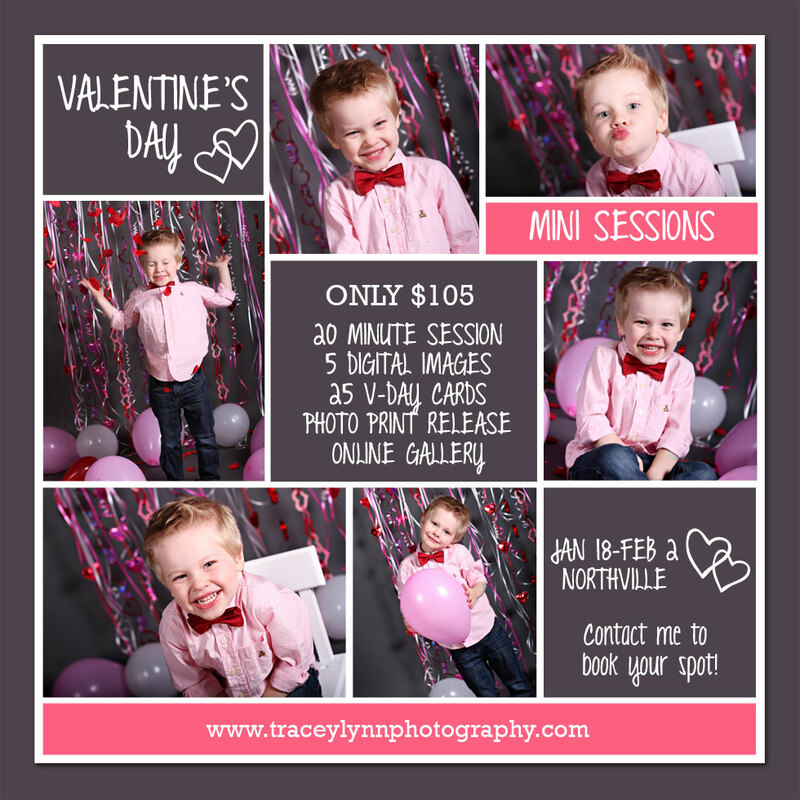 Each 20 minute session includes 5 digital images and 25 Valentine cards! Sessions can be booked every day of the week through February 2nd. Shoot me an email at traceylynnphotography@gmail.com to book your session today!